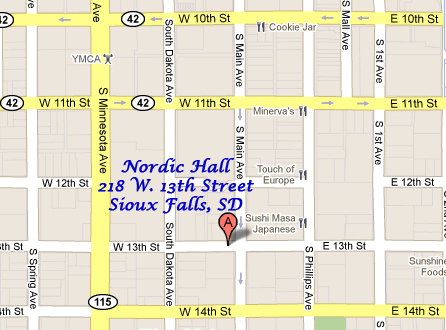 Executive office suite available in downtown Sioux Falls. Located one block east of Minnesota Avenue near Washington Pavilion. If you are considering renting an office at the Nordic Hall, call to view the available office spaces.